"Mirror Mirror, on the wall, who's the fairest of them all?" reads the outside text, inside a playful illustration. 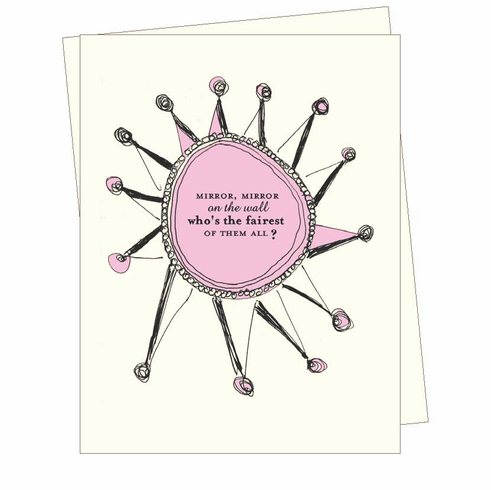 This card will make everyone smile--your mom, the birthday girl...even your wicked stepmother. Blank inside.